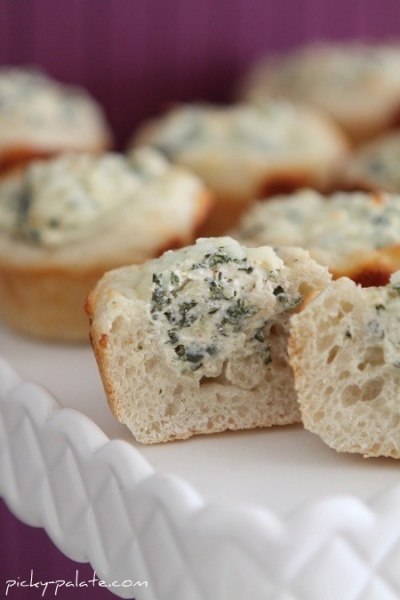 Baked Spinach Dip Mini Bread Bowls - What a fantastic idea for a party! Totally cute and no risk of double dipping. Love it!